Dark and mesmerizing, but propelled by a hypnotic beat and the sultry voice of Hope Sandoval. 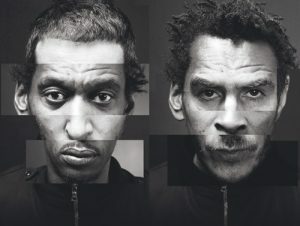 From Massive Attack’s 2010 release, “Heligoland” which is set to be released on Feburary 8th. The album release was preceded on October 4, 2009 by an EP, Splitting the Atom. During its gestation, it was often referred to as “LP5”, a reference to it being their fifth studio album (not counting Danny the Dog) or “Weather Underground” (Robert Del Naja’s early working title for the record) in the media. Many other artists recorded sessions during the duo’s post-100th Window era but are not featured on the album: Jhelisa (Anderson – also recorded for 100th Window and was not included on that album either), Stephanie Dosen, Yolanda (Quarty of Phantom Limb), Aku and Akwetey Orraca-Tetteh of Dragons of Zynth, Elizabeth Fraser, Dot Allison, Debbie Clare, Mike Patton, Fredo Viola, Beth Orton and Terry Callier. Backing tracks from Grant Marshall‘s side of Massive Attack’s writing are known to have been sent to Alice Russell, Patti Smith and David Bowie during this era but collaboration did not come to fruition, nor did talks with Tom Waits or Tricky, in terms of featuring as guest vocalists on the record. Mos Def and Leslie Feist were also mooted as artists to be recorded, back at the beginning of the era in 2004. Despite online suggestions to the contrary, no recording sessions with Sia ever took place. Post-punks, Mark Stewart and Keith Levine also came into Del Naja‘s 100 Suns studio in 2009, but it does not appear that they have made any contribution to the album. From the new songs that were played during previous tours many were not included on the record, including songs nicknamed as “All I Want”, “Red Light”, “Kingpin”, “Heartcliff Star”, “Marakesh” (an ’08 track completely different musically from, though lyrically similar to, another song also provisionally entitled “Marakesh” that became Atlas Air), “Marooned” and “Dobro”. Burial has been supplied with Heligoland’s tracks to remix. This connection has been compared to the remix relationship with Mad Professor in the nineties which led to the No Protection album and all of Mezzanine‘s tracks being given dub remix treatment, many (though not all) having been released on the singles from that LP. The limited edition of Heligoland will include a special 28-page booklet and a bonus disc of other material, which it is thought will include a number of the commissioned remixes. An EP including songs known from previous tours (such as the working-titled “Dobro”) but not included on the album is planned for release in May 2010, according to Robert Del Naja.